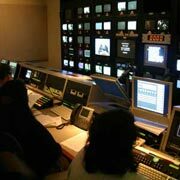 ideastream is a non-profit, public service, multiple media organization based in Northeast Ohio. Home to the region's PBS and NPR stations, our mission is to strengthen our communities. The ideastream studios are located in the downtown Cleveland business district close to sports stadiums and the convention center, and near Cleveland State University, Cleveland Clinic and major arts institutions. The building is open 24 hours a day, 7 days a week and parking is adjacent. 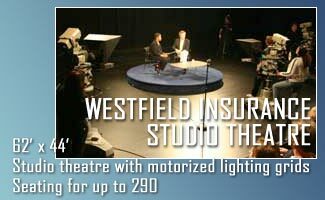 Contact us for more information about our facilities, services and how we can help you with your next live shot, uplink, video conference, and field or studio production. For more information, pricing and booking, contact Mike Vendeland at 216-916-6274 or 216-410-4909, or by email. ideastream Main Switchboard: 216-916-6100. 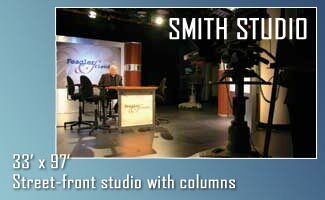 Two studios with white cyc, black draping, green screen capability, dressing rooms and high-definition studio cameras with a full-service control room featuring a Grass Valley Kalypso switcher. 3 ISDN lines; broadcast quality digital production radio studios with full audience call-in capabilities. High-definition field cameras utilizing Sony 700 and SonyEX cameras. InHD Outbound path via The Switch. Inbound satellite path available. KeyBank Studio; 34' x 21'; Separate isolation booth; Full-service control room; 24-input SSL board.